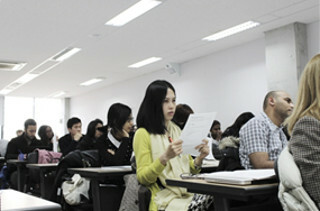 The second Human Rights and Asia course provided by the Human Rights Centre at Seoul National University in Seoul, South Korea, provided a unique opportunity to bring together 41 individuals from 26 countries to engage in an enriching discussion and debate about human rights around the world, especially in the context of Asia. The aim of this course was to foster an interdisciplinary approach to the field of human rights while also giving participants the chance to gain a comprehensive understanding of human rights as a universal concept and pertaining to the case of Asia. This course had 15 lectures, which were structured in a way that facilitated much discussion and debate while also providing the chance to learn from those who had expertise in a wide range of disciplines. These experts included professors from well known universities around the world and professionals working in significant positions in organizations that work towards promoting and protecting human rights such as the OHCHR and other committees within the United Nations. The participants were able to add to these lectures by drawing from their own experiences as well as through questions that were both thought provoking and aided in getting a deeper understanding on the topic being taught. These lectures were supplemented with group work that asked participants to further research and apply the knowledge learnt throughout the course. Participants were put into groups of 6-8 members that had to take on the position of particular groups of people that are affected or play a role in the promotion and protection of human rights in a country. These groups consisted of the government, the UN, migrant workers, labor unions and various actors. By taking on these positions, the groups had to present their view on human rights as members of these respective groups. Through this group work, participants were able to get a better understanding of the concepts being taught through application while also learning to understand human rights issues from various angles thereby challenging them to step outside their field of expertise and comfort to broaden their knowledge. The main group work for the course was to choose an issue on the infringement of human rights in a particular country and utilize the information learnt throughout the course to find the mechanisms that can be used to combat the problems plaguing that country. Groups chose topics such as child trafficking, migrant worker issues and torture occurring in various Asian countries and spent the two week course period researching the appropriate information to address these issues and put together a presentation that was then presented to the entire class. One group took the creative route by creating their own country and picking an issue that is prevalent in many countries around the world to show, through acting, the problem as well as the mechanisms to address the problem. By taking on different cases, participants were able to learn about new issues while also enlightening them to the situation in countries other than their own. 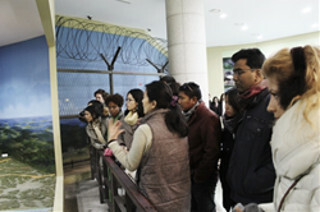 In the second week, individuals were asked to sign up for a field trip to one of the many organizations that work to promote and protect human rights in Korea. These organizations included GongGam (a non-profit lawyers group that works to represent those who have had their rights infringed upon), the Human Rights Commission, and an LGBT NGO . By visiting these places, participants were able to experience first-hand the mechanisms available and how to utilize them. They were able to speak with professionals in the field to learn about the work they were doing to address some of the problems discussed in the lectures. Through this experience, the participants were able to get first-hand knowledge about the organizations available in Korea to help those whose rights have been ignored and were able to gain further knowledge in their field of interest. The participants were also provided with the opportunity to prepare a research/advocacy plan in their area of interest and discuss it with the course director, Dr. Joo Young Lee, which allowed them to receive guidance on and refine their research/work. 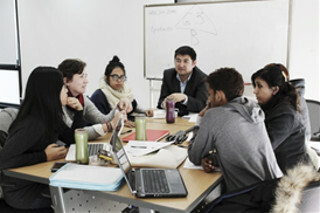 On the last day, participants were divided into groups dealing with similar topics to present their ideas to their peers, which gave them the chance to gain further insight about the various ways this issue could be looked at and addressed as well as receive feedback from those who were addressing similar areas of research. Through this process, participants were able to learn from one another while also sharing their ideas and plans of action. Through the 15 lectures in a period of two weeks, participants were able to learn about the basics of human rights in Asia such as the mechanisms available to protect and promote human rights while also shedding light on some of the problems countries face when it comes to human rights. This course touched upon a variety of subjects, allowing for an interdisciplinary approach to understanding human rights. The course offered a wide range of subjects dealing with issues such as human rights in authoritarian regimes, transition countries, in countries embedded in Confucianism as well as the effects of poverty and development. It also delved into some of the problems facing Asian countries today in terms of migrant workers, peace building, and gender implications while also addressing how human rights can be protected and promoted throughout the continent through the utilization of international mechanisms, regional systems and through the role of civil society. The subject matter encouraged participants to share their own experiences and knowledge, allowing for a more in-depth discussion. The makeup of the participants included those from both within and outside the Asian continent, such as Bangladesh, Pakistan, India, Nepal, Sri Lanka, Cambodia, Thailand, Bulgaria, Australia, USA, Canada, Switzerland and the UK. Professionally, some had backgrounds in law, some were researchers or working on their postgraduate degrees, and others were working in the field of human rights through NGOs, the UN, journalism, etc. The diversity of these individuals, both professionally and culturally, provided a unique experience of sharing and debate that gave the participants the chance to broaden their knowledge about the field of human rights and to partake in a truly international discussion on human rights. 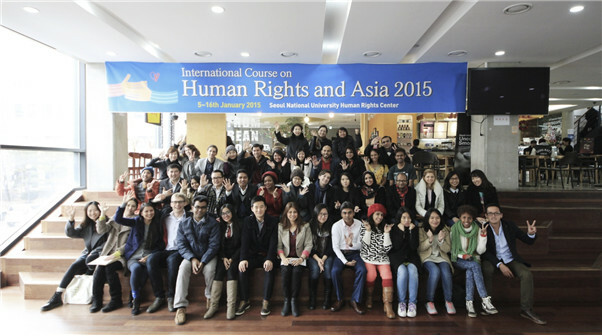 "Human Rights and Asia 2015 was a well-designed course. It gave me a great opportunity to learn and understand the human rights issues in Asia from excellent academics and practitioners. It was a remarkable knowledge sharing platform and I had the opportunity to learn from a diverse group of participants from 27 countries as well. I am truly grateful that I participated in the course as it is helping me to contribute in my work." “SNU’s Human Rights in Asia course gave me the opportunity to learn how human rights are protected under a different cultural perspective. This unique experience was a two way learning process at both sharing what I´ve learned through my professional involvement and learn from academics, practitioners and colleagues. The breadth of experiences and perspectives I’ve acquired will serve me well in my future career. Finally, I am convinced the multicultural awareness of human rights brings justice, peace and equality to both individuals and communities.